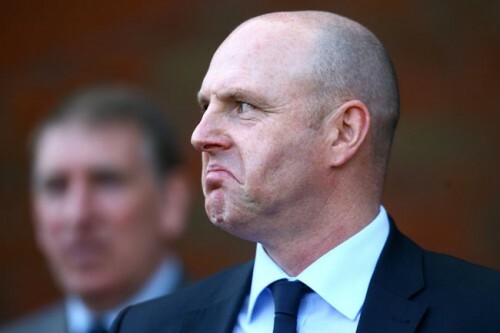 Is Blackburn Boss Steve Kean In Line For The Chop? It always seemed a rather strange decision by the Venkys bigwigs to jettison Sam Allardyce for not playing attractive enough football only to promote his second in command, Steve Kean, to the top job. Prior to jumping into the hot-seat at Ewood Park, the 43-year-old Scot had never managed a team himself, instead racking up a number of assistant manager gigs at the likes of Fulham and Coventry City. Surely, the wealthy chicken magnates could have tempted a more experienced, high-profile new manager? Well, maybe Kean’s days at Rovers’ head honcho are indeed numbered after it emerged that the club have received a letter penned by the editors of a number of Rovers fansites which calls for the Scot to be sacked. With a return of zero points from their first three games of the new season, it’s no surprise that the Ewood faithful are starting to lose faith while summer signings such as Scott Dann and Yakubu were hardly the kind of marquee names you’d expect from a club with significant money behind them. But just how long will the Venkys keep faith in their young manager? And just how much do you think Big Sam is loving it all? PS: Note that no chicken-based puns were used in this Blackburn article, surely a first?